Dong an beach hotel resort, discount rates at Dong an beach hotel resort. 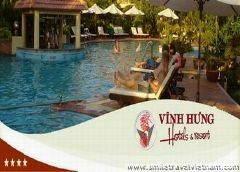 Being set in the place where river meets sea, situated right in the heart of Cua Dai Beach, lying along De Vong river. 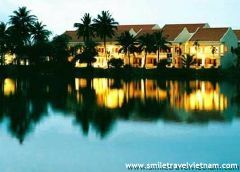 Dong An Hotel (Hoi An, Vietnam) is a unique Resort Hotel on the Silver Beach, with romantic views of countryside, river and sea, promising a gracious and interval space. In the region of sunshine and windy. Guest can take deep breath of fresh air, feel the cool breeze and can also enjoy the blue color sea and river as well as the open blue sky. Enjoying you holiday in Hoi An, Vietnam. 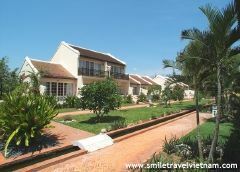 - Being set in the place where river meets sea, lying along De Vong river, Dong An Beach hotel, which opened in Sep 2003, is an ideal harmony of universe with romantic views of countryside, river and sea, promising a gracious and interval space. - In the region of sunshine and windy, guest can take deep breath of fresh air , feel the cool breeze and can also enjoy the blue color of the sea and river as well as the open blue sky. 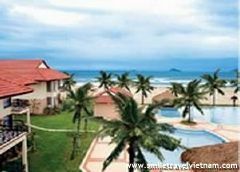 - Dong an beach hotel is four km to Hoi An Ancient town, Twenty five km from Da Nang airport, Fifty km to the My Son sanctuary. Rooms each with pool view in 32m2. Rooms either double, twin bed. All rooms are airy with charming garden view or river view in 40m2. Bigger rooms with ocean view in 46m2. Rooms with queen-size bed connecting to twin-beds room. It is really convenient and comfortable for family to relax, share feeling & take care children. 3 unit of a living room & bed room en-suites, with private & large balcony opening to the beautiful sea view or river view in 60m2. Traditional and genuine Vietnamese food, the unique combination of cuisines from west and orient commonly found tiniest ingredients is enough to transform a dish into a celebration of life. Come and enjoy the tasty favour of food and feel the moment of utmost motion at our Tra Que Restaurant. A lively bar with a fun atmosphere, serving a light snack menu. Here the mood changes from an informal dinner venue to a vibrant entertainment later in the evening. 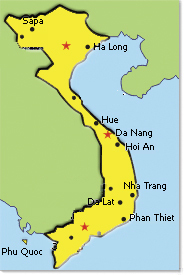 It sets a whole new pace for the Hoi An scene. Open daily from 10:00 am until midnight. - Business center offers Internet-services, Printing, Photocopy, Interpretation Translation and Secretary Service, Tour guide. - The meeting room -165 square meters large-with the capacity up to 150 Paxes- is the ideal venue for the meetings and conferences of any scales. For the meeting over 20 members, a complimentary banner will be offered. 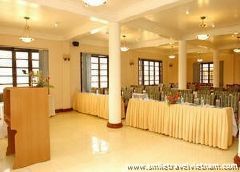 - The function room on the first floor is available for 30 paxes will meet all demands of any party, meeting or conference. - Restaurant: Traditional and genuine Vietnamese food, the unique combination of cuisines from the West and Orient commonly found tinniest ingredient is enough to transform a dish into a celebration of life. Come and enjoy the tasty favor of food and feel the moments of utmost motion at our - Dong An Restaurant. The longer you stay our hotel, the more comfortable and healthier you feel. Swimming pool is located in the middle of our garden. The beach is 30 meters from the hotel. 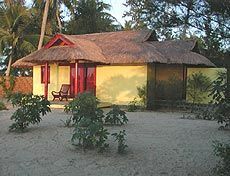 Guest can either swim at the pool or to private beach for sea bath. The charming river does reveal the sign of very peaceful, romantic world with boats, rods, hooks, lines and bait. 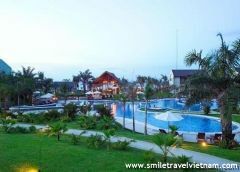 Going fishing along the river bank or taking a boating trip up and down De Vong River, visiting Tra Que vegetable village and Japanese tombs or dropping by Kim Bong Carpentry Village, will be the most unforgettable moment while staying at Dong An Beach Hotel. Enriched with previous ingredients from the tropical forest of middle of Vietnam, the luxurious treatments presented by the health club at Dong An Beach hotel are the ultimate river and beach indulgences. 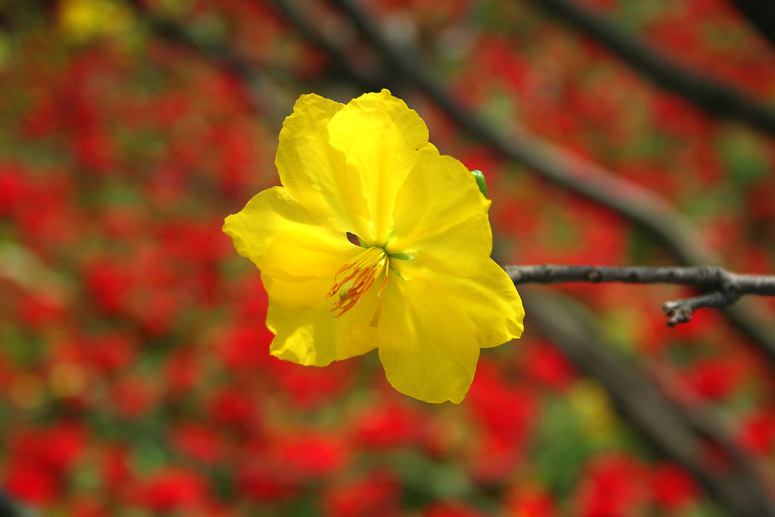 Treatments are unhurried and nurturing, and are offered in 4 tranquil treatment rooms. Our Spa experience was designed as a refuge from today's fast-placed, high stressed world, a place where you are concentrate on restoring and rejuvenating body, mind and soul.